This page is a list of all the songs that mention brand name products in them. Nothing more annyoing than getting a commercial pitch in the middle of a song. Seriousily, I hope the performers who do this at least get free stuff out of it. 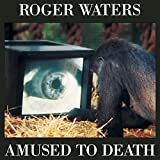 Roger Waters', "4.33 AM Running Shoes"
Roger Waters', "The Bravery Of Being Out Of Range"
New entries in this section are currently reviewed by Meat. Previous editors (if any) are listed on the editors page.